GR8CTZ – Great Cities of the World is an educational guessing game which displays Google Street View data on your TV. 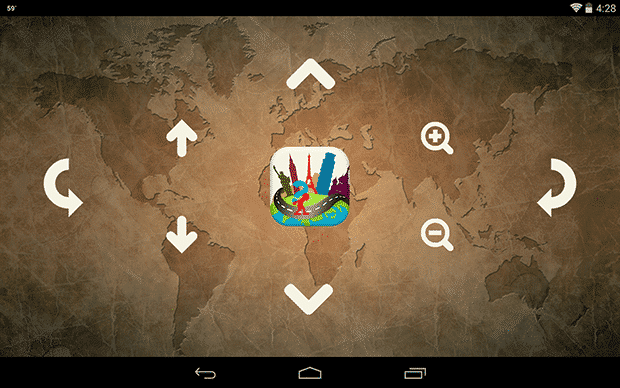 You can navigate and look around using an Android phone or tablet as a controller with the goal to guess 5 cities. Your score is based on the amount of guesses and time needed to find the correct answer. The game itself offers 4 difficulty levels, 177 cities all over the world and is available in English, Russian, Spanish or Portuguese. You can also limit the cities based on certain criteria like spoken language or regions. Pretty cool. When playing the game, your Android device is used as a gamepad to walk around as well as zoom in and out. You have three guesses for each city and if you guess wrong twice, you’ll be ported to an iconic spot of the city. The game itself lasts for a few minutes and is great fun, especially if you’re amongst travel-savvy people. A multiplayer mode is currently under development, so you have to play by handing over the device round after round. If you want to give GR8CTZ a try before buying the app, there’s a web version available on gr8ctz.com. I think that GR8CTZ is a good start and look forward what kinda games we’ll see in the coming weeks. The new Chromecast SDK looks promising and I really hope that we’ll get a decent quiz game soon. If you’re interested in more Chromecast supported apps, check out our overview.